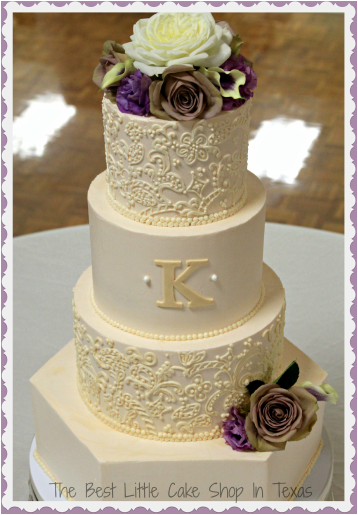 Whether your wedding is small or large, traditional or modern, elegant or whimsical, I can help make exactly the right cake for the occasion. advance as possible to ensure the date of your wedding is available. Bookings are made on a first come, first pay basis. I am a home based pastry shop and am limited in the number of events I can handle each week. My cake designs are customized for each couple’s taste. If you have a picture of a cake you’d like, we always welcome them! 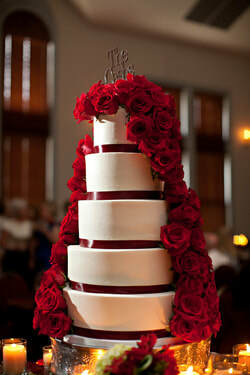 The cake shape is up to you as well – Round, square, or octagonal. 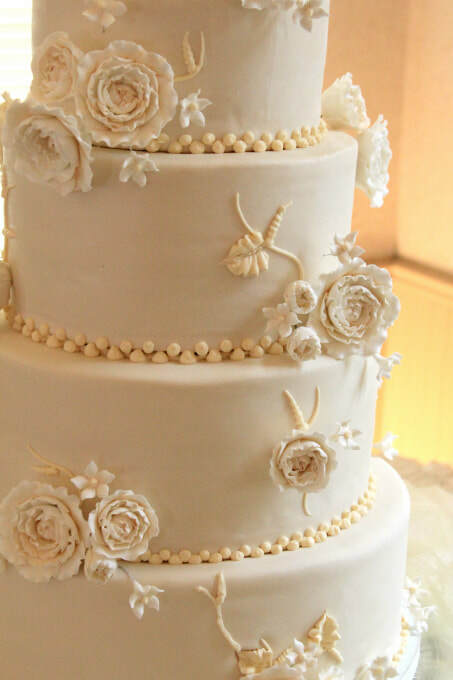 Design elements include, but aren’t limited to : Buttercream lace, swiss dots, sugar flowers, fondant ruffles and rosettes, sugarpaste ribbons and bows. A $100 retainer fee is required to secure your event date. This will guarantee your spot will be held. Without your retainer fee, your date will not be held. This will go towards your wedding cake balance. I deliver all over La Grange and surrounding areas and charge $45 for delivery within 25 miles.